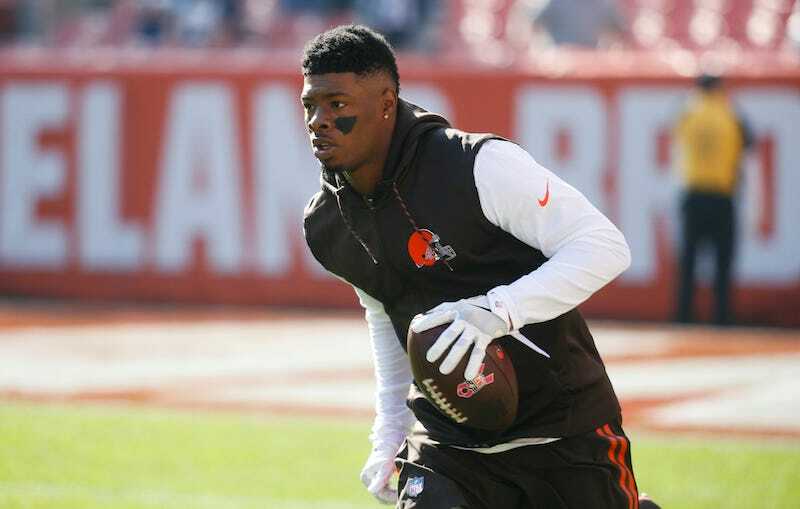 Cleveland Browns receiver Corey Coleman’s name is in a police report of an alleged attack on a man in the condo building where Coleman lives in Cleveland, but his lawyer and agent say the NFL player wasn’t involved. According to the Cleveland Police Department’s report, 26-year-old victim Adam Sapp was concussed and hospitalized after an argument with four men in the lobby of the Pinnacle Condominiums in the early morning of Dec. 31. In the report, Sapp said that he remembered a “verbal confrontation” with four men as they got off an elevator as Sapp was getting on, but doesn’t remember what happened after that. Sapp woke up in a stairwell as witness Nina Holman was, according to Sapp, yelling, “That was him! That was Corey Coleman! I can’t believe he did that to you! I know that’s him!” Sapp said he lost consciousness and woke up again as he went to the hospital. Coleman’s lawyer, Kevin Spellacy, told Cleveland.com that Cleveland police have a 30-second video which proves that Coleman was not part of the brawl. The police report says that a subject named Chimadika Okoye tried to get the video from the front desk after Holman told him what had happened, but was told that he would need a police officer. Unfortunately Corey Coleman’s name has surfaced in a police report concerning an incident that occurred in the lobby of the apartment complex in which he lives. Corey, while aware of the incident, denies the allegations that have been made and looks forward to clearing his name. The police narrative can be found below.